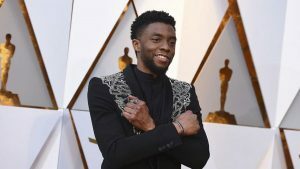 With Black Panther picking up seven Oscar nominations, including Best Picture, new research has revealed how much UK audiences now expect and appreciate diversity on screen. Six out of ten Brits (60%) say they like watching TV and films with diverse casts, rising to 64% of those aged 16-24, while a similar number (61%) believe both the small and silver screen should ‘reflect society as it is’. In addition, seven out of ten (71%) think TV and movies have the power to challenge stereotypes, with around half (48%) indicating that for too long, those media have failed to represent society authentically. The survey of 2,000 Brits was carried out by media agency UM as part of UK by UM, its ongoing research into stereotyping in media and advertising. It found that young audiences aged 16-24 are leading the call for diversity, with 47% keen to see more BAME people on screen (compared to 34% of Brits as a whole), and 42% eager to see more LGBTQ+ representation (as against 27% of all UK adults). 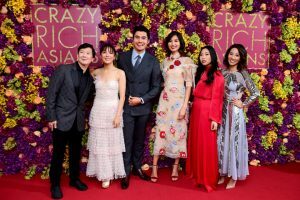 59% of those who watched Crazy Rich Asians liked seeing more ethnically diverse lead characters in movies, rising to 64% of 16-24-year-olds. Among those who watched Black Panther, those figures were 53% of all adults and 73% of 16-24s. 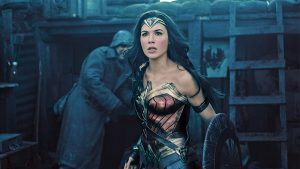 Around six out of ten viewers of both Wonder Woman and Killing Eve enjoyed seeing female lead characters. In both cases this rose to 72% among those aged 16-24. 60% of 16-24 year olds who watched I Feel Pretty liked seeing positive representations of large body sizes, as compared to 50% of viewers on the whole. More than half of those aged 16-24 (53%) who saw Mary Poppins Returns enjoyed seeing positive representations of single fathers. However, this figure dropped significantly to 29% in terms of the total audience.